Disclosure: This is not a sponsored post. However; OXO did provide me with a few cooking tools to aid me with this recipe. The opinions and recipe are 100% my own. I seriously love OXO. Holy Moly. This salad puts the WOW in factor, as my fiance found out this afternoon. I watched him dip his tortilla chip into his bowl without stopping for a breather over the course of 20 minutes. When he finally took his eyes off his bowl he said to me “SWOON.” I second that emotion. 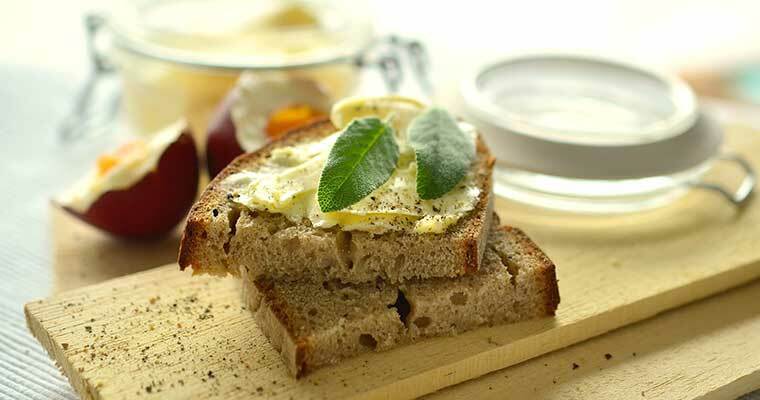 Easy to make and ready to be served after 30 minutes. 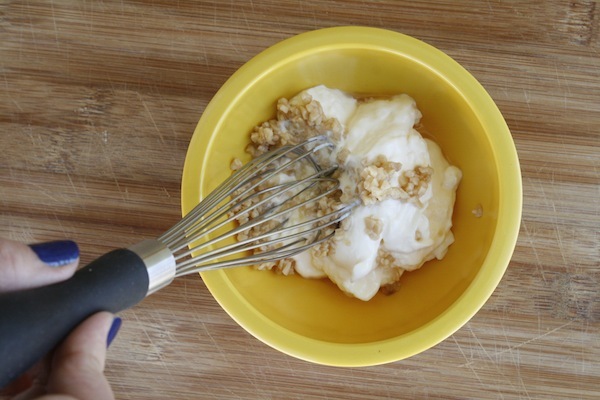 In a small bowl whisk mayo and garlic together. 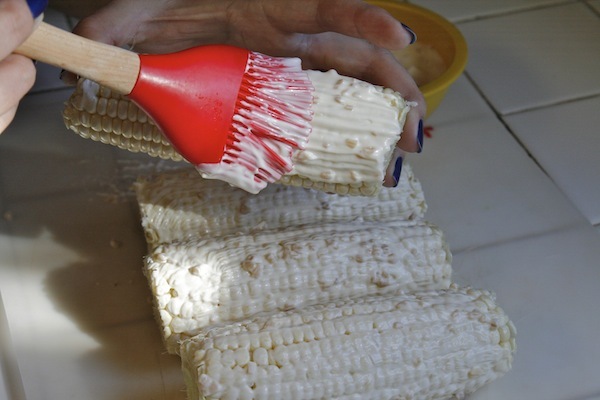 Brush mayo on corn, and place on a hot grill. 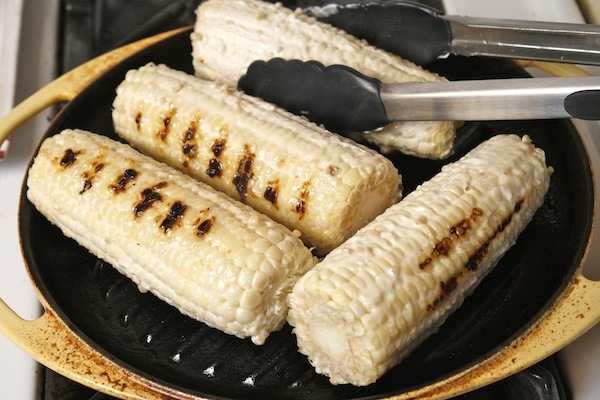 Grill for 15 minutes. Turning the corn with thongs every five minutes. 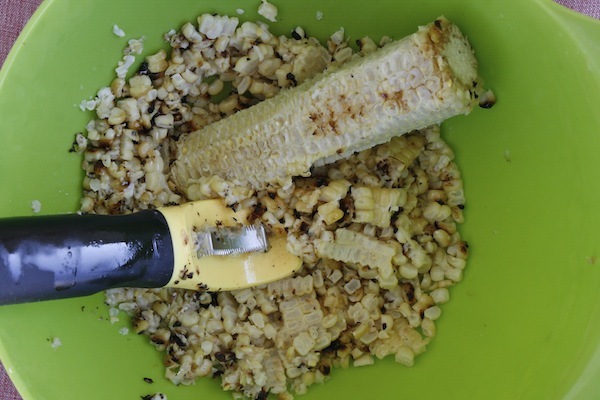 While corn is grilling, add any remaining mayo/garlic to the salad dressing shaker also add in crema, and lime juice. 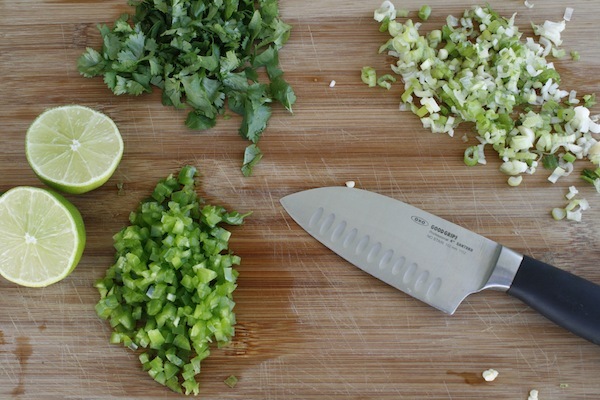 Set to the side while you chop cilantro, green onion, and jalapeno. 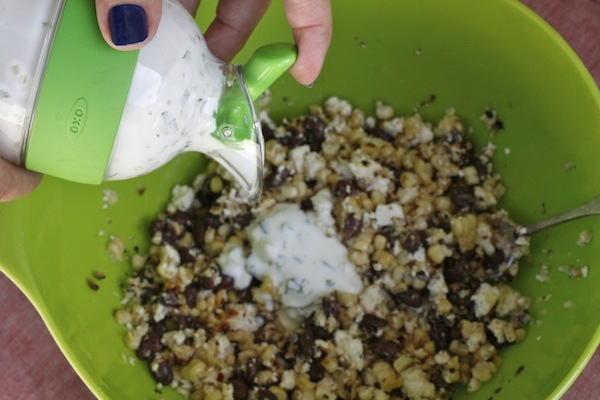 Add chopped greens to salad dressing shaker. Shake well and set to the side till ready to use. 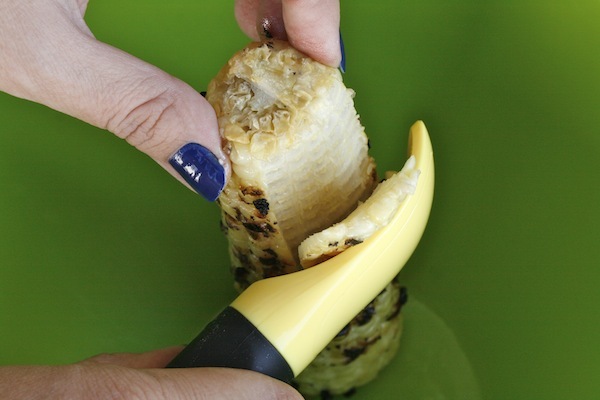 Remove corn from the grill, and with the corn peeler shave the kernels off the corn and allow to fall into the bowl. 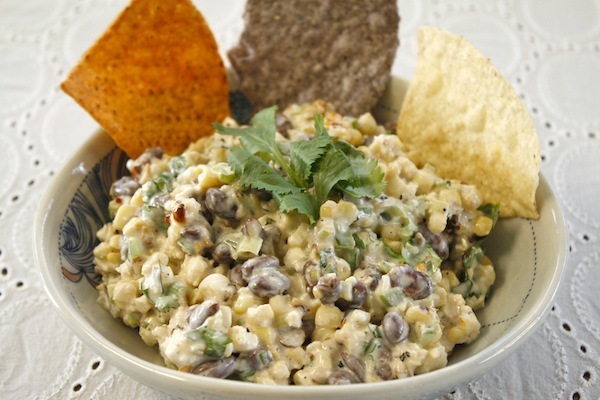 Add cotija cheese, chili flakes, and black beans to the corn. Mix well to combine. 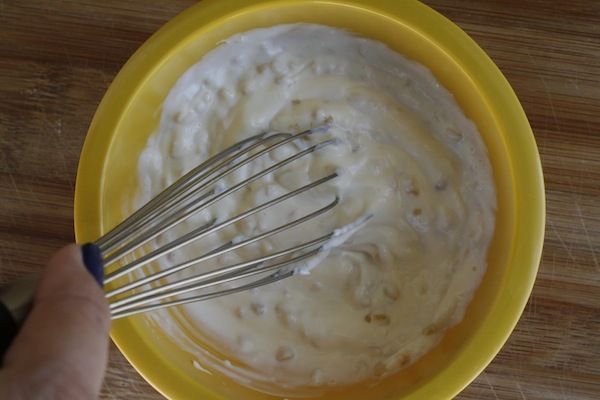 Then pour salad dressing over the mixture. Serve salad warm with a nice helping of tortilla chips. yum! 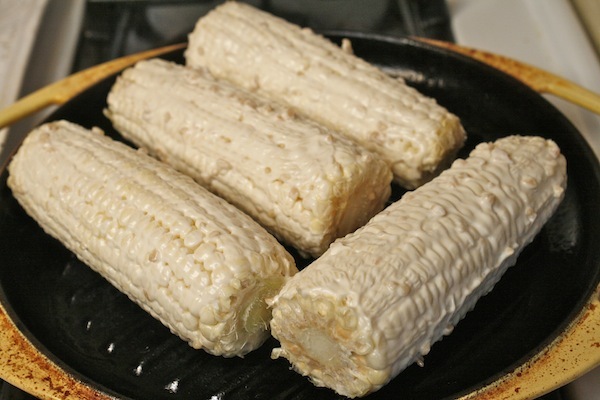 what if i bought roasted frozen corn from TJ’s and added the mayo and garlic later?